Joints are a very important part of human anatomy which connects or join the bones to one another and helps body movement and balance. Vital joints in the human body are the knee joints, spine joints, elbow joints and ankle joints. Uneasiness, aches, and soreness in any of the body’s joints is most frequent symptoms of Joint pain. The knee joint is the most prominent joint in the human body despite being extremely prone to be damaged because it bears the majority of the human body weight. Pain, stiffness and weariness in the muscle or joint can arise due to the many reasons as any kind of rheumatic ailments or damage in the joint could sometimes lead to mild to unbearable joint pain. However, there may be other health conditions that can induce joint pain. Joint disorders affecting almost people of all age groups. Improper use of the body joints, sitting posture, fatigue, unhygienic diet and unhealthy lifestyle can cause chronic or abrupt joint pain. Joint pain can make a person immobile if not treated with care. AsthiJivak is an Ayurvedic remedy to ease stiffness and pain in joints. It is said to be invented by Pandit Shri Ram Sharma, an Ardent follower of ancient Ayurveda, and It has been used as an effective joint pain reliever since ancient times. It can treat joint disease and joint pain completely. Regular Massage of this Ayurvedic oil and paste could relieve knee joint pain completely. This herbal healing agent has a special name in Ayurveda. AsthiJivak is an absolute combination of nourishing herbs that provides nourishment to bones and joints. It is a kind of Natural home remedy for Arthritis or joint inflammation, which is prepared on the principles of Ayurveda, the ancient medical science of healing many disease and health disorders. 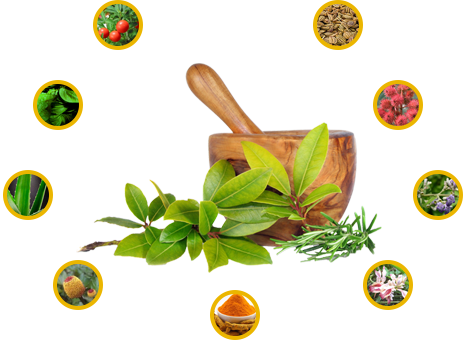 Ayurveda is the most recognized ancient healthcare system and Ayurvedic medicines are prepared uniquely to obtain the maximum therapeutic effect with extreme care. Asthijivak is an impressive composition of several unique herbs, an herbal lep to heal most musculoskeletal disorders and an effective Ayurvedic Oil, which can repair affected tissues thoroughly. Amalgamation of this magical blend follows specific Ayurvedic mechanism and principles to attain the fruitful results from the selected herbs. Some herbs are used in their liquid form while some other in their native form. Rub 2 tablespoons (each of 8 gm) of Asthijivak Lep onto your sore knee joints. Apply it on the knee and cover the damaged region properly before you go to sleep. Tie the flannel cloth loosely on the affected knee and allow it to remain as it is for the whole night. In the morning, wash it with moderately warm water & massage gently with 2 to 3 ml of Asthijivak Oil. Apply only the right amount of pressure during massaging. It can reduce bruising, tenderness and swelling of your knee completely. It can cure all types of knee ligament injury. Keep one's bones & Joints well lubricated. It increases joint health & joint mobility. Reduces risk of knee cartilage injuries. Copyright © 2016 , Asthijivak. All Rights Reserved.